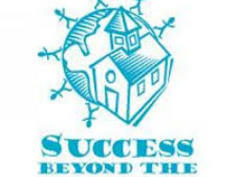 If you attended the APWA-MN Fall Conference you know our fundraising efforts were focused on a charity called Success Beyond the Classroom (SBC) http://www.successbeyond.org. Most members probably don’t realize we have been working with SBC for years. Their programs include the Future City Competition (FCC) and STEMlink. Thanks to our APWA-MN members and vendors we raised $1,700 at this year’s Fall Conference for SBC. SBC annually brings innovative, creative and challenging academic competitions and programs to the Twin Cities area. They provide students the opportunity to develop their skills and fulfill their passions outside of school. The FCC program allows them to work with mentors and engineers to create a virtual city design, develop proposed solutions to engineering challenges, construct tabletop city models and present their ideas. In 2017, 47 teams of students competed at the FCC regional finals with the assistance of more than 100 engineers from local agencies, companies and consulting firms. Read more about the impact of the 2017 FCC program at http://www.successbeyond.org/documents/2017FCC_ImpactReport.pdf. As an organization, our mission is to advance the theory and practice of the design, construction, maintenance, administration, and operation of facilities and services. It is critical to that mission that we develop future generations of public works and engineering professionals. Our investment of time and resources in organizations like SBC helps further that mission. Annually, our Public Awareness Committee works with SBC to provide member volunteers to assist with these events. SBC’s Creativity Festival for 3rd – 5th graders occurs each year in January. The event is organized to mimic a college-type setting. This year, APWA members will lead one of the breakout sessions to teach children about permeability. If you are interested in volunteering your time in 2018 to help with any of these programs and the associated events, please contact Chuck Schwartz at cschwartz@msa-ps.com. Thank you for your generous support at our Fall Conference fundraiser, and continued support of our Public Awareness Committee events throughout the year. Please have a safe and happy holiday season.